A good recipe, but not too different from the many bean/corn salad recipes that are around. The dressing could be significantly decreased as it drowned the salad - I’d make 1/3 of the recipe. A good beetroot salad, though very rich as the dressing comprises solely of mushed up marinated goat cheese. Loved this so much. And incredibly simple to prepare. Wasn't a huge fan of the pesto, but I'm sure that this is a personal taste preference. The problem for me is that this recipe makes a crazily huge amount (400mL or thereabouts), with the recipe requiring only 3 tblsp. Only for those folks who are crazy over broccolini. Not a whole lot going on in this dish otherwise. Very simple, very tasty. The recipes states 6-8x serves - it was certainly more the latter (& we're big eaters!). A great corn salad recipe, with fantastic combination of flavours & textures. Added the optional avocado, roasted pepitas & goat cheese (chèvre), which I would highly recommend. These noodles are slurperlicious!!! The marinade/dressing is divine and the whole thing was easy enough to throw together after work. 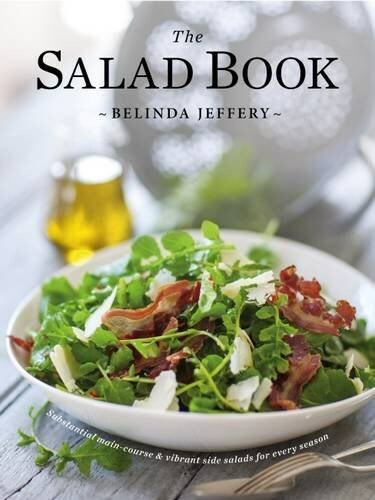 Belinda Jeffery takes her culinary inspiration from the impressive array of locally grown produce, available to her through farmers' markets, friendly neighbours and of course her own garden. With her trademark love of good food prepared simply, Belinda constantly finds new and surprising ways to bring seasonal flavours and textures together. And this imaginative new collection is no exception. These days, salads can go far beyond a quiet dish on the side. Belinda shows that they may be enjoyed at any time of the day, from fig, bocconcini, rocket and frizzled smoked pancetta salad for brunch, herb-roasted chicken, fried bread and watercress salad for dinner, and a stunning dragon fruit, peach and lychee compote with brown sugar yoghurt to finish. So whether you are looking for something pared-back and elegant or a riot of colour jumping off the plate, you are bound to find the right salad for every season. Delicious food, cooked with love. What could be better?